This week The National Defense welcomes back Koby Langley, Senior Vice President at the American Red Cross, overseeing worldwide operations of Services to the Armed Forces. Koby fills us in on this weekend’s Sound the Alarm campaign by the Red Cross, where teams of volunteers will be installing 100,000 free smoke alarms in more than 100 cities across the U.S. Then, Debbie Matenopoulos, host of the daily show “Home and Family” on the Hallmark channel, joins the show to talk about her show, her ... Más informaciones new cookbook, and her tie to the military through her husband who served with Army Rangers in Afghanistan immediately after 9/11. 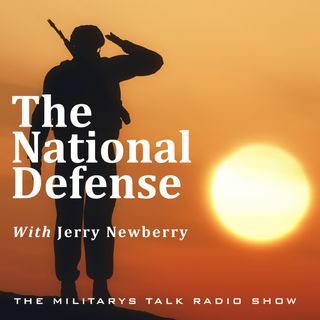 It’s a great show this week on The National Defense!